Like I posted last time, I just wasn't sure. It wast the color I asked for but it just didn't feel right. One of the reasons was that it needed a second coat. The paint we purchased was a high definition paint and it just didn't cover the walls well. So we color matched it and bought more paint. Josh touched up the room and then we discovered the color match didn't not correctly match our original color. It was bad. Really splotchy and streaky looking. 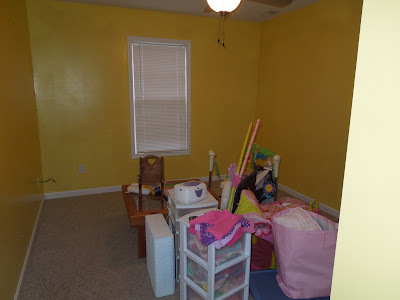 Josh did not want to paint this room again. He was frustrated and for good reason. He had spent a lot of time on it both go rounds. Either it was the hormones or the fumes, but I just started crying when I saw it. It wasn't what I wanted for my daughter's room. I told Josh that I wanted to try again with a totally different color. He was hestitant at first but he agreed--as long as I didn't pick pink. He refused to have a pink bedroom in our house. 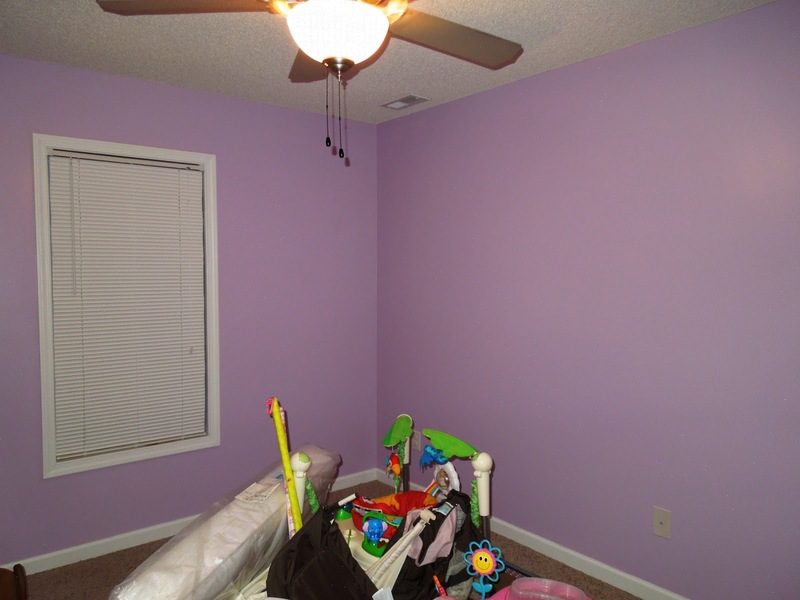 So off to Home Depot we headed and I picked out the perfect shade of purple called sweet petal. I LOVE how the room turned out. Now it's perfect for our sweet little girl! Oh I love it, better than the yellow. Tell Josh I said thanks too- a momma cannot be crying over her baby's room color. It is going to be awesome. 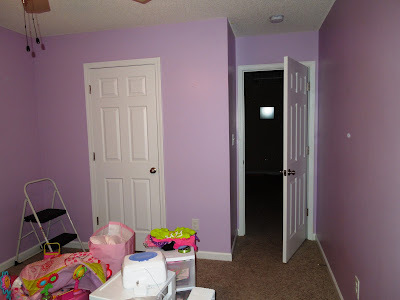 Bill and I painted our bedroom the wrong color once and it took over a year to fix it!